Xero Hour connects like-minded accounting and bookkeeping professionals to accelerate the sharing of thoughts, leadership, and industry happenings. With over 3000 members connected to the Xero Hour community, Xero Hour has been a proven success for accounting and bookkeeping professionals. There are 24 separate Xero Hour groups throughout the United States. “I've been fortunate to have attended quite a few Xerocons where I've met and learned from so many industry peers. The challenge is that Xerocon is only once a year and isn't always easy to get to. What's great about Xero Hours is that I get to establish a similar community of peers, but they're right in my hometown and I get to meet with them every month!” said Kenji Kuramoto, owner of Acuity and host of Atlanta Xero Hour. Sponsored by Xero and hosted by local Xero advisory firms like Bookkeeper360, professionals will be able to take steps towards their goals, speak about solutions to industry challenges, and hear honest opinions on tough decisions that are present. Xero Hour occurs once per month and is designed to help accelerate local accounting practices. They are often hosted at local restaurants or catering establishments and are spread out across the country for ease of access. At a Xero Hour, you can expect light appetizers, drinks, and great conversation. ‘The Year to Accelerate’ is the theme for Xero Hours in 2018. 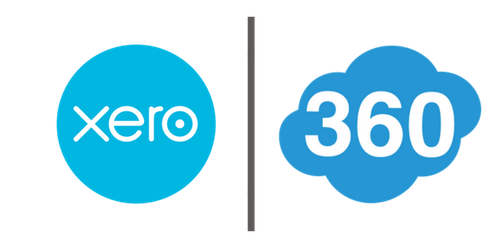 “Xero Hour is a great place for forward-thinking accounting professionals to stay in touch with the latest technology and operational efficiencies for their firms,” said Nick Pasquarosa, founder of Bookkeeper360. Join Bookkeeper360 at a local Long Island region Xero Hour and make it your business’s finest hour!